There are many famous French monuments, but the châteaux have a particular charm to them that not all of the monuments enjoy. For many tourists, especially non-European ones, the French castles invoke a kind of romance that few other attractions can create. One region of France boasts the most beautiful and most historic of châteaux. These castles are all centered around the Loire River Valley. The Loire itself is the largest river in France and gives way to rich fertile land and beautiful scenery. It's no surprise that this river was a kind of hub around which several famous French castles were built. Versailles is arguably the most well known French castle. 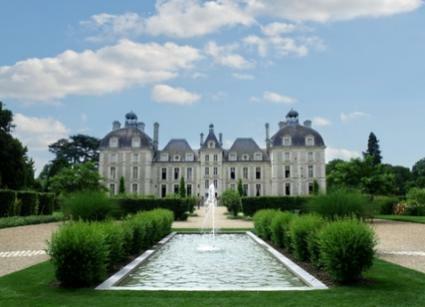 Sitting just outside of Paris, the opulent castle welcomes thousands of tourists per year. It is best known equally for its ornate gardens, commissioned by Louis XVI as well as being the place from which Marie Antoinette supposedly uttered the infamous phrase, 'Let them eat cake.' 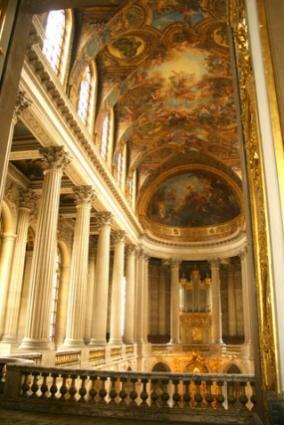 Historically, Versailles has been a French symbol for decadence. Currently, the palace is used as a museum and for political functions. Tourists can walk the gardens freely, or take a guided tour through the castle and learn more about the French monarchy and its history. The château in Blois is most famous for its light shows, which are extremely popular during the summer months. During these shows, a light spectacle is projected onto the walls of the castle, telling the history and drama of the château. The castle in Blois is also famous for its spiral staircase. Several famous castles have spiral staircases, but few are considered as beautiful as the one in Blois. It is a prime example of Renaissance architecture. Does the name sound familiar? A famous French liquor shares its name with this château. 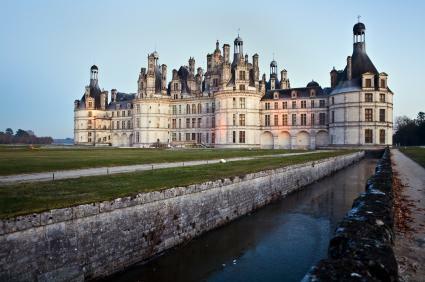 Chambord is one of the most regal of all the French castles and boasts an impressive roaming ground. Chambord is surrounded by a huge national forest with kilometers of walking and biking trails. Discovering the forest can be a welcome break from hopping from one château to another. Chambord was one of the many hunting retreats that the kings of France built for themselves and their royal guests, hence the massive forest. Cheverny is one of the few French residential castles. Descendants of the original owners still take up residence there, keep hunting dogs and operate the day to day functions of the castle. This is one of the main reasons why so many tourists visit this chateau - The idea that it is still inhabited by a family gives it a whole new aspect of romance. Touring the inside of the castle is possible, but of course, the areas of the house that are actually presently inhabited are closed off from the public. Still, you will find many interesting rooms to look inside and romanticize about all the glamorous living that has gone on in the building before you set foot inside it. While touring the grounds, don't miss out on observing the pack of hunting dogs that reside on the property. Cheverny is in the heart of the goat cheese producing area of the Loire River Valley, so don't miss out on the local products after visiting the château. 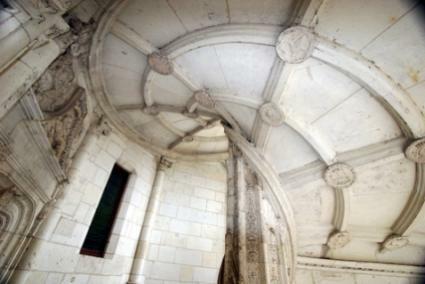 Chenonceau is a must-see castle for history buffs. There are many legends surrounding the castle, as it was used to pay off debt to the crown on more than one occasion. While the structure standing there now is not the original, it has been painstakingly restored to reflect what the castle must have looked like during the 11th century when it was originally built. What you will see when you tour this castle is a reflection of various rulers - from Catherine de Medici (who ruled for a very brief period) to the many nobility who took up residence in the castle later during France's history. 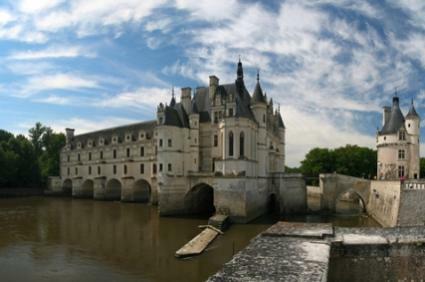 While Chenonceau is definitely off the beaten path, it is well worth a visit both for its historical value and the phenomenal views of the Cher River. In addition to the châteaux discussed above, there are several more beautiful castles to visit in France. The most popular of these include Villandry, Amboise and Azay-le-Rideau. To visit some of the lesser known castles, book a tour with a group such as Travel Off the Beaten Path. Not only will you get to see the beautiful Loire Valley, but you can also hear the history of the French castle in the area.